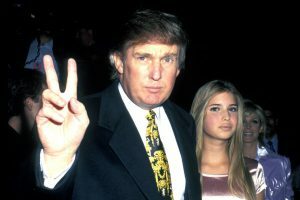 According to public filings, Ivanka Trump recently withdrew applications to [register the] trademark [for] her own name after her father/boss [short-fingered vulgarian Donald Trump] signaled his intent to oppose her effort. There must have been some behind-the-scenes discussions, because Ivanka last month dropped the real estate trademark application. The trademark on the girly products proceeded without opposition, though, as has her move to trademark plain old “Ivanka” for real estate purposes. Does Donald Trump have a trademark in his surname? My understanding is that a person generally has a right to use her own name in a business, and it is grounds for refusing registration that a mark is primarily merely a surname. Perhaps Ivanka should have challenged Dad.